Puerto Rico is an island getaway with something for everyone – stunning beaches, uncompromising luxury, adventurous outdoor activities and flavourfull nightlife. Puerto Rico also boasts 23 golf courses, many championship-level, countless tennis courts, horseback riding outfitters, deep-sea fishing opportunities, watersports of all types, and 17 spas. The beach at Isla Verde, which fronts the Atlantic Ocean, is just a five-minute cab ride from San Juan airport, and boasts a line of major hotels, a beautiful powder-white beach, crystal waters and easy access to Old San Juan and other cultural, dining, shopping and dancing attractions. 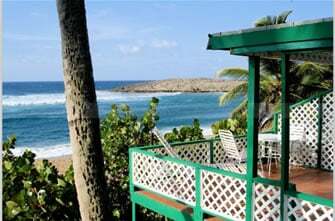 Another popular destination is Condado Beach, with a natural rock barrier protecting Condado Lagoon. The 21 x 4 mile island of Vieques is no longer a proving ground for the US military, and the underdeveloped islet now offers postcard-perfect strands of sand, winding roads through forests chock full of tropical birds – and wild horses, quaint inns, a major resort and a laidback pace. San Juan offers a stylish shopping, dining and nightlife scene, while on the southwest coast is the city of Ponce and the seaside town of La Parguera, famous for its bioluminescent bay. Porta Del Sol, on the west coast, is known for its low-key ambience and Rincón is a charming city popular with windsurfers. A zoo enchants visitors of all ages in Mayagüez. El Yunque is the only tropical rainforest managed by the U.S. Forest Service, and combines three types of forests (rain, montane and dwarf). The area boasts two waterfalls and 50 varieties of ferns, 20 types of orchids, and dozens of species of birds and frogs.